« More Bits and Pieces. Let’s see if you’ve heard this one before – the NFL messed up. This time it flat out screwed the Broncos when it came to their compensatory picks in this May’s NFL Draft which will be held in Chicago. Get the Broncos 2015 NFL Lines here at Mybookie.ag. Back on March 25th the NFL admitted that instead of a 6th rounder (208th overall), the Broncos will now have pick 250 in round 7. That means with the screw up the Broncos will have plenty of time to pick that 250th overall pick considering they already had picks 251, and 252 in the Draft. The NFL admitted that there was a “database error,” and overall the NFL Management Council revised three compensatory selections belonging to the Panthers, Broncos and Steelers. 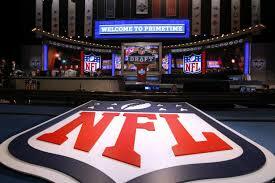 The changes add an additional compensatory pick to the fifth round with one less pick in the sixth round. Carolina’s sixth-round selection (6-38-213) is now a fifth-round pick (5-38-174). Denver’s sixth-round selection (6-33-208) is now a seventh-round pick (7-33-250). Pittsburgh’s seventh-round pick (7-35-252) is now a sixth-round (6-36-212). Notice that only the Broncos got screwed in all this with a lower pick? Feels like something may be up when it comes to the NFL and its ways of doing these compensatory picks. No one in the NFL is talking about the ‘error’ since the league doesn’t publicize the formula that goes into the awarding of compensatory picks. Overall, it’s just impossible to figure out what exactly led to the database error. The general formula is based on how many free agents a team lost in the previous offseason with a value assigned based on the size of the contract, performance and awards of the players that left. 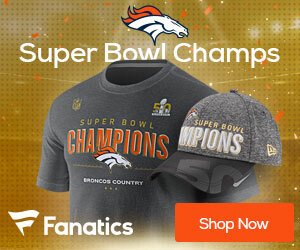 Come draft day, the Broncos will have ten overall picks, with the draft this year taking place April 30th to May 2nd, and this year will take place in Chicago. Here’s all of the Broncos 10 picks, starting with their first pick in round one: Round 1 (28), Round 2 (59), Round 3 (92), Round 4 (133), Round 5 (143), Round 5 (164), Round 6 (203), Round 7 (250), Round 7 (251), Round 7 (252). Ten picks should help this team which faltered down the stretch and wound up losing their first playoff game reload for the 2015 season, a year which could be the last for QB Peyton Manning. The new staff with Gary Kubiak as head coach needs to make sure to not let lingering feelings from 2014 stay with them, and need to use those 10 picks to their best of their ability and not let the NFL ‘screw up’ get their game off come draft night 2015.